HOUSTON — Recently announced Texas Lawyer Top Verdicts and Settlements for 2015 ranked A. Lewis Ward the ninth top verdict in the area of contracts litigation. 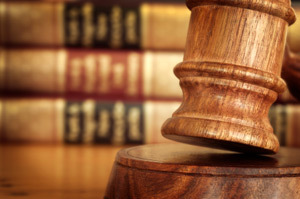 Ward represented clients who were induced into a real estate transaction by fraud. The Texas Lawyer Top Verdicts report listed the jury award at $888,537, which includes only the damages resulting from fraudulent inducement. Combined with damages for breach of contract from another defendant, who settled before trial, the total award is $3,039,960. Proving fraud by inducement is a difficult legal task. This case was very challenging due to the complexity of relationships and trouble obtaining documentation. “Despite the number of witnesses, and several defendants representing multiple separate legal entities, we were able to uncover and present credible documentary evidence and testimony to make believers of the jury,” said A. Lewis Ward. The details of this case portray a complex and well-conceived fraudulent scheme, which Ward used to sway the jury’s view. Juries are known to be skeptical of a plaintiff’s own negligence. Uncovering a paper trail that revealed intentional, coordinated acts of deception by the three defendants was key in establishing a sympathetic view of the plaintiffs. Texas real estate law provides for “common law fraud,” but proof of “statutory fraud” is required in order for the plaintiff to receive payment of legal fees. Ward successfully forced one defendant into a settlement over breach of contract and that defendant was compelled to testify against the other defendants. This witness was key in proving the high standard of statutory fraud. 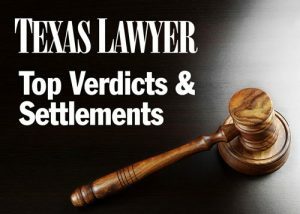 The Texas Lawyer Top Verdicts and Settlements report is a special publications of Texas Lawyer, previously a weekly legal newspaper and now a primarily web-based news publication. Texas Lawyer is a member of the American Lawyer Media family of publications and the American Lawyer Media Law.com network of sites. Texas lawyer continues to publish Texas Lawyer monthly magazine, the Texaslawyer.com online edition, the In-House Texas Monthly, CLE seminars, and various books, practice guides, directories and e-newsletters. Lewis Ward graduated from South Texas College of Law and was admitted to the Texas Bar in 1977 and to the U.S. District Court, Southern District of Texas in 1988. Over four decades in law, he has handled thousands of legal matters and distinguished his legal practice by helping clients achieve millions of dollars in verdicts and settlements. He is an active member in the civic and business community, having served on boards of directors for the Robert Cummings Memorial Scholarship Fund and Ensource Corporation; as a member of the Enterprise Bank Advisory Council; and as vice president and president for the Southwest Houston Chamber of Commerce and Success Connect Chapter of Business Networking International.